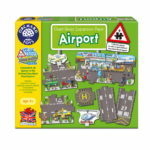 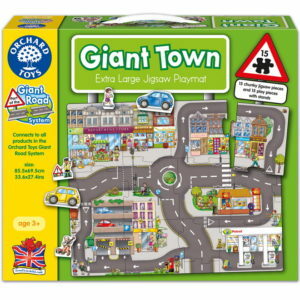 Add these 9 large and chunky airport-themed pieces to any of the other products in the Giant Road / Town / Railway system. 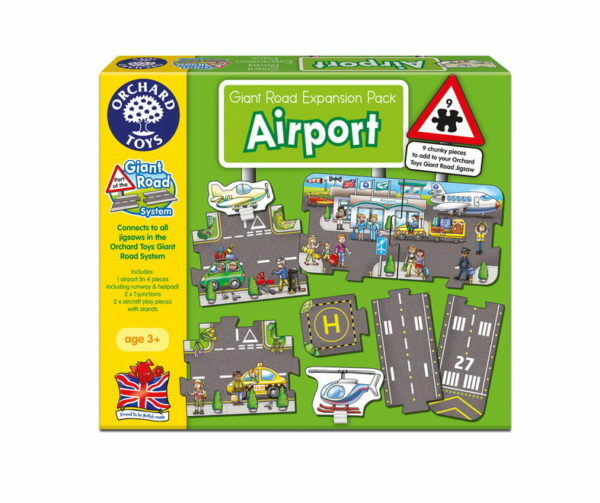 Chunky 9-piece Airport expansion pack for the Giant Road System. 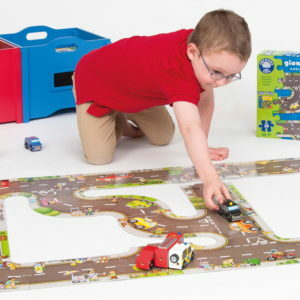 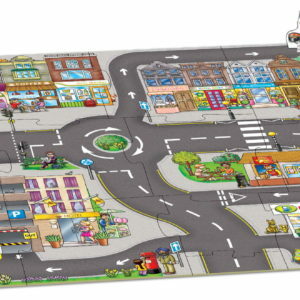 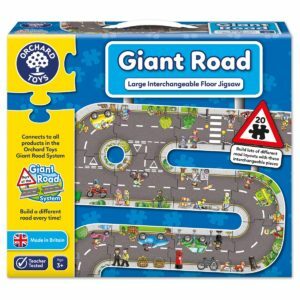 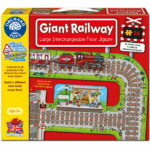 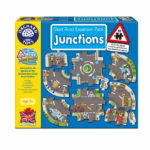 Extend the play value of Giant Railway, Giant Road and Giant Town with Airports nine chunky pieces that are compatible with all products in the Giant Road System. 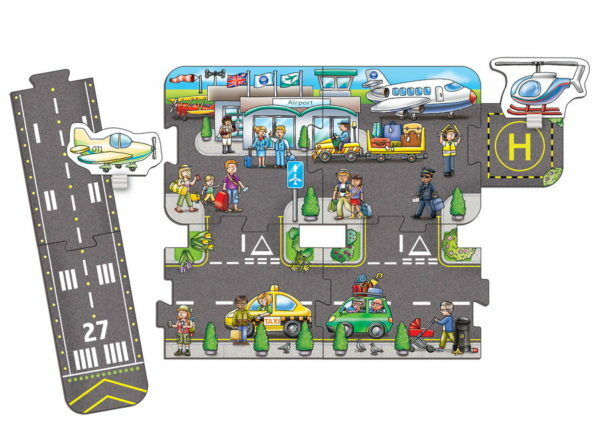 Pieces feature a runway and helipad, terminal, junctions, plus two aircraft, or children can “take off” with their own toy airplanes!